All the hype surrounding autonomous vehicles could lead you to believe the technology’s widespread use is right around the corner, but we’re still years away from self-driving personal vehicles being a common sight. 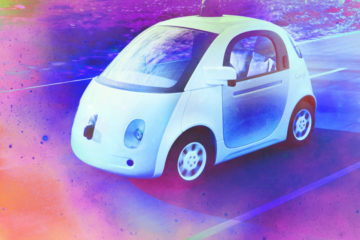 Autonomous service vehicles, on the other hand, may arrive sooner. 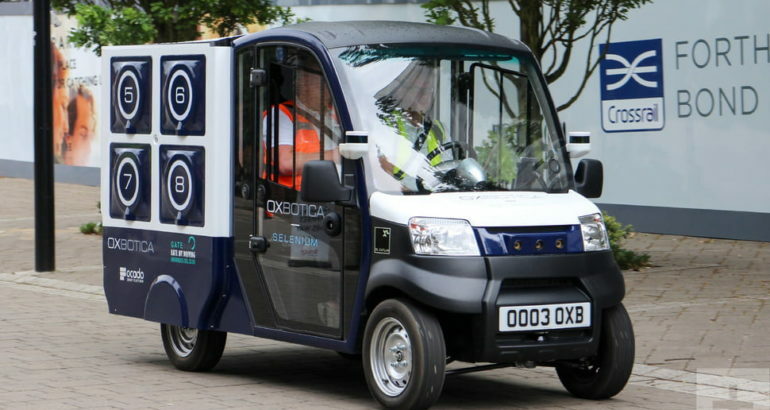 Online retailer and delivery company Ocado, in conjunction with technology company Oxbotica and the borough of Greenwich, London, is in the process of testing a small fleet of CargoPods — self-driving delivery vehicles that will cut out the middleman and bring orders directly to your door. CargoPods complete the “last mile” of the delivery process, which means they’re stocked in your local delivery area before being sent out, and aren’t made for cross-country journeys. Ocado’s CargoPod delivery vehicle doesn’t look futuristic, and it can’t hold a lot of cargo. In its current guise, it holds only 282 pounds of groceries in its eight boxes, compared to the 80 boxes held by a regular Ocado van. It’s a testing vehicle to prove the effectiveness of the technology, and iron out any issues. The design, shape, and capacity of the final vehicle, or vehicles, is still to be decided. How will it work, and what will the delivery experience be like? 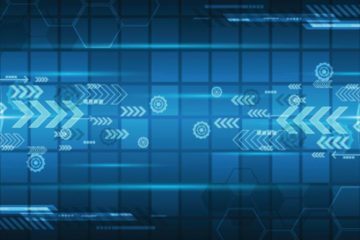 We went along to a trial to see, and spoke with David Sharp, head of Ocado Technology 10X, the company’s advanced technology research arm. We first saw the CargoPod as it silently appeared from around a corner in the Royal Arsenal Riverside residential area in London. It cruised past at a leisurely 5mph, stopping outside one of the apartments. A customer had placed an order through the Ocado app, which was loaded into the CargoPod at a hub station prior to its departure. You take your order out, close the door, and the vehicle goes on its way. It’s quick and simple. 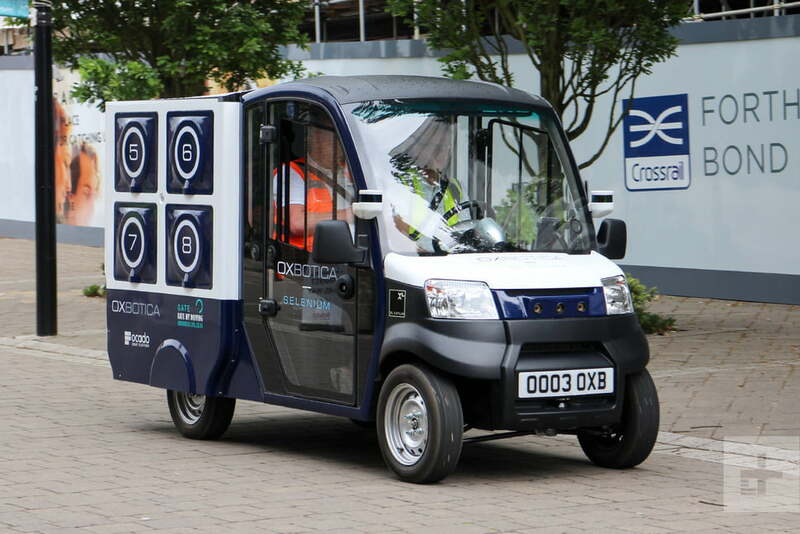 When the little electric vehicle pulls up, an Ocado delivery person confirms the customer is the same person who placed the order; in the future this may be performed automatically, perhaps using a keycode system similar to those seen on click-and-collect lockers. The numbered compartments contain individual orders: Press the central confirmation button and the compartment with your groceries will open. You take your order out, close the door, and the vehicle goes on its way. It’s quick and simple. Currently, there are two guys inside each autonomous vehicle because the test requires two occupants, one from Ocado to monitor and approve the delivery system, and a safety marshal from Oxbotica who activates and assesses the self-driving part of the vehicle. Their presence is for safety and research purposes, and although one puts the autonomous vehicle into action, there will come a time when he’s not needed at all; Ocado will control the fleet of vehicles from a central location. The CargoPod is packed full of computers and sensors, including stereo-vision cameras on the front and back. 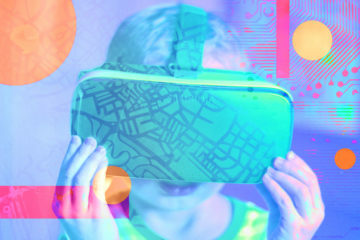 Oxbotica’s computer vision technology creates a virtual map for the CargoPod to follow. It doesn’t use GPS because it isn’t accurate enough for self-driving use. The vehicle is equipped with laser scanners, which detect obstacles such as pedestrians in front of it. This ensures it stops, rather than just running you down on its way to a delivery. One of the safety people inside the vehicle said it’s so sensitive at the moment that it stops for pigeons, but in the future, the system will be refined using machine learning and image recognition to understand what it’s seeing (pigeon, baby, or bicycler) and behave appropriately. Computers manage the driving and logging of deliveries. To run a fleet of CargoPods, a central control area will need to be constructed, where people oversee the fleet. Think of an air traffic control team at an airport, but with the ability for one of the controllers to operate a pod if it gets into trouble. In the trial, a first in the U.K., the CargoPod drives around a part of Greenwich that has plenty of space, few hazards, and is logically laid out. Introducing it into busier areas is more complicated. Ocado’s David Sharp explained why. The potential for electric last-mile delivery vehicles to cut down on traffic and pollution is undeniable, but when will the technology become more than a test, and what else will it bring? When we asked Sharp how long it would be before the CargoPod wouldn’t need anyone inside it, and could go about its business completely autonomously, he described the timeline as “hazy.” Ocado will continue experimenting even after the Greenwich trial has finished, so the systems can be perfected in a more controlled environment. “Over the next 10 to 15 years, we’ll see increasing sophistication inside these autonomous vehicles, to the point where they’re as good at driving as you or I,” Sharp said. Ocado also expects major car manufacturers to introduce more autonomous driving technology into cars in 2021, which will help drive down costs and increase adoption. Autonomous delivery vehicles, and other innovations in robotics, also fits in with Ocado’s plans for its Instant Order predictive ordering system, where Ocado guesses what you want based on what you’ve ordered before. Ocado knows what it’s doing with online delivery. It not only operates its own retail business, but also provides the technology for others to use. After several failed attempts, U.K. supermarket Morrisons partnered with Ocado to operate its online delivery business, and it became one of the world’s fastest growing online grocery companies, going from zero to 200 million British pounds in a single year, then reaching 300 million in the second. Oxbotica’s equally talented in the autonomous vehicle and software space. It provides the Selenium platform for the car, and the Caesium tracking and delivery platform that the CargoPod relies on. It’s also working on controlling future vehicles that will one day roam the surface of Mars. Ocado is hardly the only company working on self-driving vehicles, for delivery purposes or otherwise; there’s competition from Amazon, Google, Uber, Apple, and various car manufacturers. But it’s one of the first to give such a clear indication of what the experience will be like for us, the people who actually place the grocery orders and meet the vehicle. Ocado’s vision for autonomous delivery is as it should be: Simple, fast, and surprisingly normal.